A lot of people like me used gmail to send archives before cloud storage services like Dropbox or Onedrive were born. Through time, gmail has started blocking some typical types of files and you can't send or receive or send them on mails. 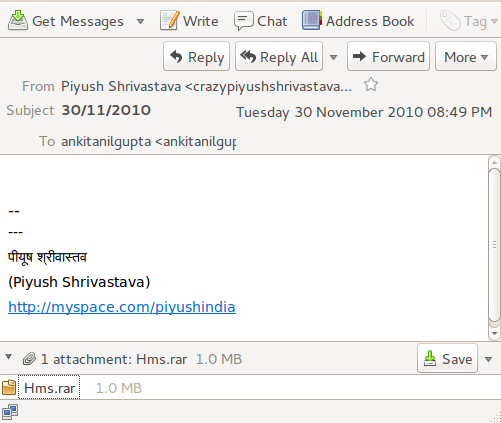 Fair enough, these files might prove dangerous as they can be used to send malware and viruses through mails. The problem which arises is how can we access the files that we have stored in our past emails. For example, today I needed my high school project which I sent to my project partner in 2010. 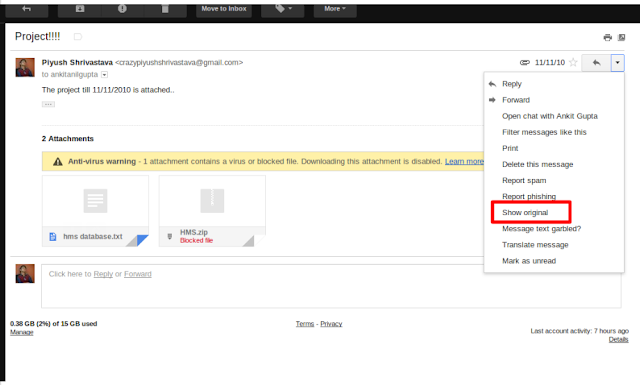 When I tried downloading the attachment, gmail prompted me that it is blocked and I cannot download it. After a quick search on the internet, I found a solution which wasn't properly formatted across various blogs and websited, so I am sharing this solution with you. An email format which is used by mostly all the email providers we know. A MIME file contains all the information you send in emails including all your attachments, sender, recipients etc. in encoded plain text. EML is a file extention which is used in email messages which are stored in the MIME format. 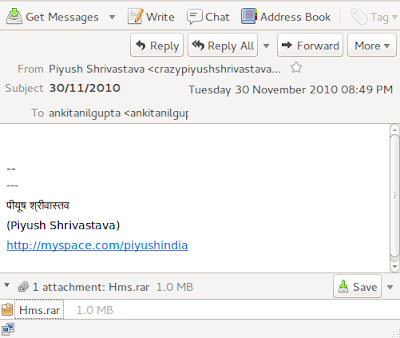 Files with this extension can be opened in email processors such as Outlook, Thunderbird etc. 1. 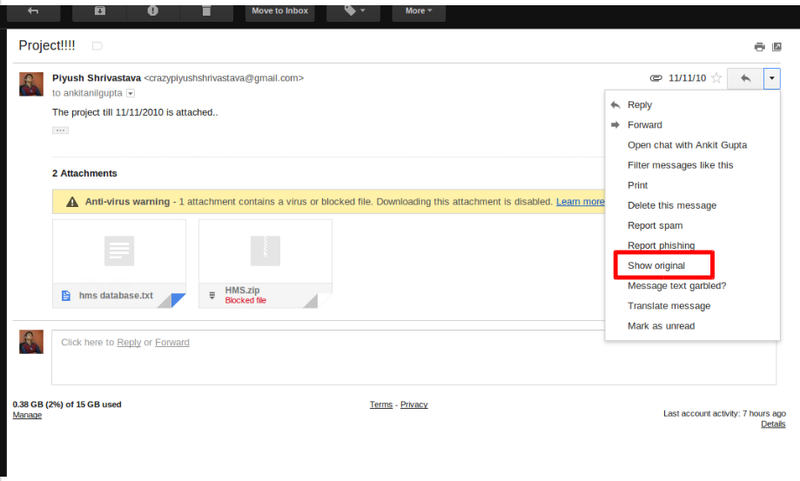 Open the mail you want to download the attachments from in Gmail. 4. Right click on this MIME and click on "Save Page As" or "Save As" and save the page with the extension ".eml". For example "email.eml". 5. Open an email client like Outlook or Thunderbird. I am using Thunderbird for this example. 6. 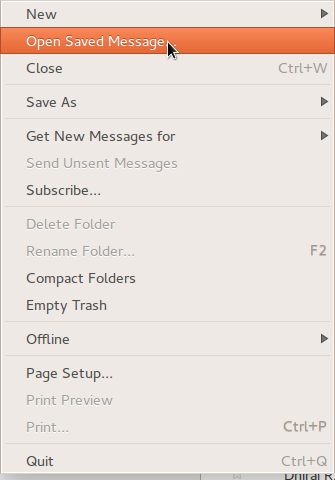 Click on "Open Saved Message" from the file menu. 7. Open the file you just saved with .eml extension. 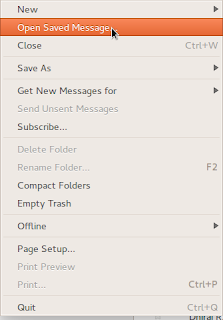 Your original mail will open in Thunderbird with the attachment you wanted to download. 8. Click on "Save" in the list of attachments and save your attachments wherever you need. If you enjoyed reading this post or it helped you in something you were trying to do, do let us know in the comments section below. Like us on Facebook to get in touch. Thanks for reading WeboGraffiti.